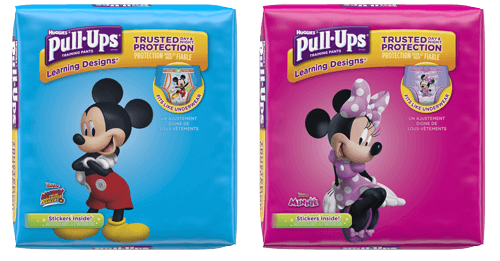 Pull-Ups® and Kimberly Clark Global Sales, LLC and/or its related entities (“Pull-Ups” or “Sponsor”) may occasionally conduct contests, sweepstakes and/or other giveaways (individually and collectively, “Promotion”) on social media/networking websites including but not limited to twitter.com, twitpic.com, facebook.com, pinterest.com, and instagram.com (each, a “Social Media Site”). Unless specifically noted otherwise by Sponsor, these terms and conditions, along with the terms of the Promotion Offer (defined below), shall serve as the official rules for any such Promotion conducted by Sponsor. Sponsor may terminate, extend, suspend or alter any Promotion in its sole discretion, unless prohibited by law. Specific information for a Promotion will be set forth in promotional material by the Sponsor for the Promotion on the Social Media Sites involved in the Promotion at the time of the Promotion (the “Promotion Offer”). 10. WINNERS LIST: For the name of the winner of the Promotion, please send a self-addressed stamped envelope to: Pull-Ups Social Media Promotion, PO Box 735, North Branford, CT 06471, within thirty (30) days following the conclusion of the applicable Promotion. In order to enter, participants must comment on the following Pull-Ups® Facebook post: https://www.facebook.com/48830741934/posts/1147164648821303. Pull-Ups will randomly award five (5) $25 Disney gift cards in total across all entries received. This promotion starts on April 24, 2019 at 12:00 a.m. CDT and ends on May 8, 2019 at 12:00 a.m. CDT. Winners will be notified via a Facebook comment on the same thread on May 9, 2019. Winners that do not respond via private message within 48 hours will forfeit their prize.